“The San Antonio Botanical Garden continues its Art in the Garden programming with a new sculpture installation featuring the works of Diana Kersey. Her opening is Thursday, November 16, 5:30pm-7pm, solo exhibit of Kersey’s work will include nature inspired sculptures. The evening reception is free and open to the public. Thursday November 16, 6-9 p.m. This Stranger Things themed art show is presented by Las Lloronas, benefiting Autism Speaks. Enjoy browsing goods from local artists and vendors, food and drinks, and lots of 80’s music. Entry is $5, and raffle tickets for door prizes are $2 each. Saturday, November 18 6-9:30 p.m. This FREE event will showcase 70 local artists, plus live music and food trucks. FeedSA will be there collecting food and monetary donations for the San Antonio Food Bank. Bring the entire family for an evening of art, fun, and giving back to our community. “Soul Food” is a series of work by Austin based abstract artist, Arielle Austin. This collection of work celebrates the essence, nostalgia, and heart of soul food. Come join us around the table! Exhibition opens November 9th and runs through December 21st at The Carver Community Cultural Center in San Antonio, Texas. Please see their website for gallery hours and open events to view.www.thecarver.org/gallery/Arielle Austin is an artist dreaming and creating in Austin, Texas. Austin’s work explores the intimate relationship between subject and viewer with layers, texture and details. While experimenting with this process, Austin compels the viewer to take a closer look – to become intimate with the art, resembling our very own human nature and desire. To be fully seen and known. The desire that makes known the unspoken, observes the corners, wonders of technique, yearns to touch textures, dissect its layers. Friday, November 17 at 6:30 p.m. 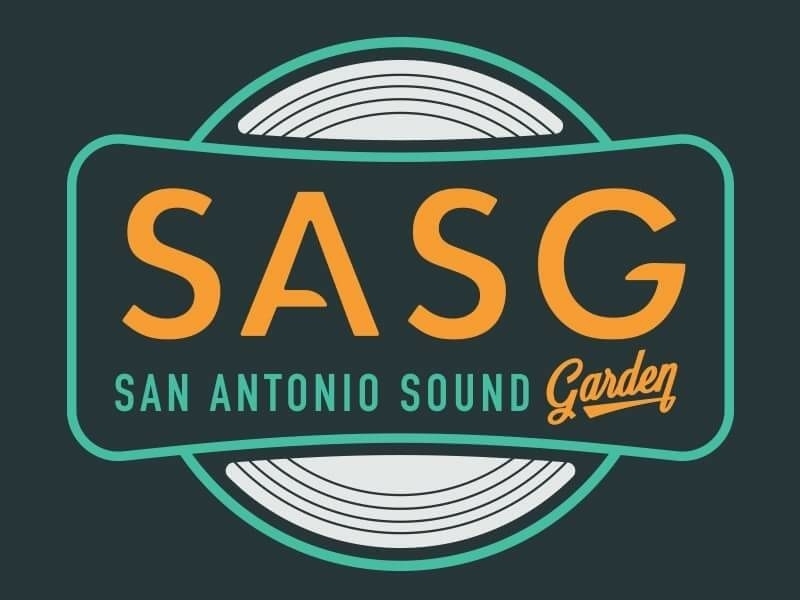 This year’s Jazz in the Garden concludes this week with food, drinks, and live music from Dr. Zog at the Japanese Tea Gardens inside Brackenridge Park. This event is free to the public and open to all ages. Bring your own lawn chairs and enjoy a night of live music under the stars. “KSYM is hosting its annual Alt 2 Hunger benefit concert this year on the 17th of November! Five awesome local bands will be rocking out with us at The Mix from 7 PM to 1 AM as we work to provide aid towards St. Peter-St. Joseph Children’s Home (St. PJ’s). Admission will be at the front door, and the price of getting in is your choice of either 5 canned goods or $5 dollars. But if you want to bring your buddies, 1 frozen turkey gets in 5 people! Saturday, November 18 at 9:00p.m. “ODYSSEY is a festival by TIMEWHEEL that explores the interwoven connections between music, artwork, technology, performance and transformation with a diverse musical lineup and immersive installations. The second annual Odyssey festival has been officially announced, Only 2 months away, Odyssey will be held on November 17 (rescheduled from August 26 due to Hurricane Harvey) at Paper Tiger in downtown San Antonio. The headliners this year include MNDSGN, Femina-X and THIRD EYE. The lineup also features [ Q ], Verisimilitude, SOMETHING FICTION, Reek$avage and so many others. The official schedule has been revealed. Check out the full lineup and set times (CST) below. Odyssey will feature onsite art installations, vendors, artist talks, workshops, and more (TBA). A very limited number of All-Access passes will be available for $60 which include two tickets to the event, plus entry to the pre-party (TBA), a giftbag full of merch from TIMEWHEEL and our partners and more. “The Magik Theatre, San Antonio’s professional family theatre, presents Shakespeare on the River – a FREE event celebrating all things Shakespeare. Tickets available here: http://bit.ly/2i4wkAU ; you can also contact The Magik Theatre Box Office or call 210.227.2751 for VIP tickets. Saturday, November 18 from 3:00 – 5:00 p.m.
“The ladies of Missed Opportunity are hosting an open, casual event at Bexar Stage. Come and join us…. Whether you’re curious about what improv is, want to play some warm-up games, or just want to watch some funny people. No previous improv experience is required. Feel free to invite others who may be interested. “The University of the Incarnate Word’s (UIW) annual holiday celebration, Light the Way, sponsored by H-E-B, is changing. The kick-off celebration which is usually held in Benson Stadium on the UIW campus will now be held in the front of campus (4301 Broadway) and take on more of a festival-type atmosphere. The event, scheduled for Saturday, Nov. 18, will still feature performances by the choirs and performance groups of UIW and the Brainpower Connection schools but guests can also enjoy a Food Truck Yard, the Kids’ Corner where guests can take selfies with Santa, have free cookies and cocoa and take part in activities brought to us by our friends at the DoSeum. Guests also will have the opportunity to get a jump start on their Christmas shopping from various local vendors at the Holiday Shoppe. The event will begin with a kick-off ceremony at 6:30 p.m. hosted by KSAT12’s Steve Spriester. The lights will be turned on immediately following the ceremony so guests can enjoy the night’s entertainment under the twinkling lights. Performances will fill the night air with the sounds of Christmas, while the offerings from the food trucks will add aromas to make your mouths water. The third Friday of the month is Toddler Play day at The McNay Museum. From 10:30 to 11:30 am, children 5 and under (along with their grownups) are invited to enjoy free admission to the museum and lots of hands-on activities. Thursday, November 16, 5:30 – 8:00 p.m. Enjoy a free family-friendly evening with H-E-B at the Blue Star Arts Complex. Activities will arts, crafts, letter writing, and a photo booth. Sunday, November 19, 11:00 a.m. – 5:00 p.m.
Ethereal goods, fortune tellers, and belly dancers are just a few things you will experience at this mystic market located at Victoria’s Black Swan Inn. Admission is free, kids and pets are welcome. “It’s that time again! Food Not Bombs will be hosting a Really Free Market during one of our servings and you’re invited! Come with food or come with stuff to give away, it’s your choice. The premise of a Really Free Market is simple: bring what you can, take what you need. Bring gently used clothes, books, electronics, appliances, whatever you would like to pass on and come shop for yourself. We just ask that you stay with your items for the entirety of the 2 hours and then take them home if they are not gone at the end. Simple! There will be yummy vegan food and live music as well! We hope to see you out!